Have you been wishing on a 'lucky star'? Well, like a prayer, you've been heard and answered! 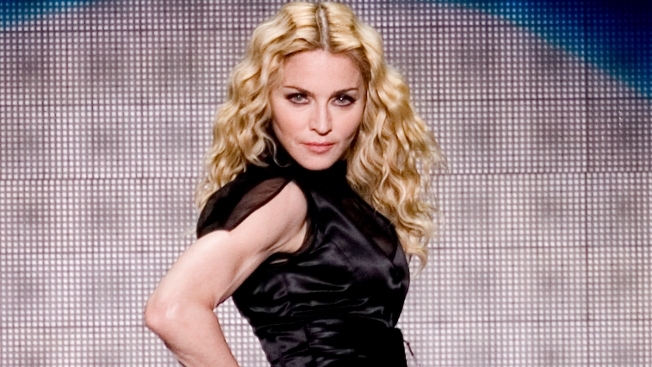 The Queen of Pop herself -- Madonna -- is coming to San Diego! We know, we know -- to paraphrase Madge herself from "Borderline": It feels like we're going to lose our minds! Yes, ladies and gentlemen, on Oct. 29, 2015, the Material Girl is returning to America's Finest City on her worldwide Rebel Heart tour with a show at Valley View Casino Center. The last time the pop megastar performed in San Diego, it was nearly eight years ago at our downtown stadium, Petco Park. And even though we love our ballpark, being able to see Madonna at a slightly more intimate venue is definitely a plus. For those who can cease expressing themselves long enough to get on the Internet, tickets go on sale to the general public on June 1 at 10 a.m. Prepare to "open your heart" and open your wallets: Tickets will range between $35 and $350. Be early, be patient and be steadfast -- they're guaranteed to sell quickly. Feel like you're "burning up"? Don't worry, we feel you. We've been fans of Madonna before papa started preaching. If for some reason you've been living in Superman's Fortress of Solitude or perhaps manning the International Space Ttation your whole life, Madonna is kind of a big deal. She's truly a one-of-a-kind singer/songwriter/dancer/entertainer who somehow reinvents herself and her sound for nearly every record (and there's 13 of 'em). She got her start between 1982-83 with the single "Everybody," and it's been spotlights, awards, movies and platinum records ever since. Some of her biggest hits include "Papa Don't Preach," "Express Yourself," "Like a Virgin," "Vogue," "Frozen," "Justify My Love" and "Take a Bow," among many others. She's the best-selling female recording artist of all time, with more than 300 million records sold worldwide, and the top touring female artist of all time to boot. In other words, people love what she does and they want to see her do it live. So all the more reason to be stoked she's coming back to San Diego -- we've been jonesing for her to return and when we got the news about her Oct. 29 show, it was music to our ears. Bottom line? Madonna, we're "crazy for you."